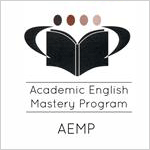 Elementary Mainstream English Language Development Instructional Guide: This is for teachers who are not teaching ELD. They are to teach MELD during ELD time. These lessons are living-breathing lessons that were created by teachers/CLR Fellows. We would like to encourage teachers to try them during their Mainstream English Language Development (MELD) time. Feel free to provide feedback or recommendations at http://bit.ly/feedbackct.